Manwaa Song is from the movie October. The Starcast of this video is Varun Dhawan and Banita Sandhu. Director of this film is Shoojit Sircar. The Movie released on 13th April 2018. Sunidhi Chauhan is the Singer of this Bollywood Movie Song. 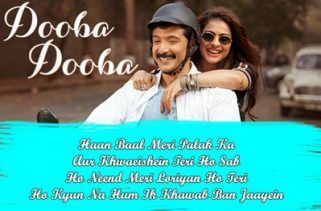 Manwaa Song Lyrics are written by Swanand Kirkire and music is composed by Shantanu Moitra.